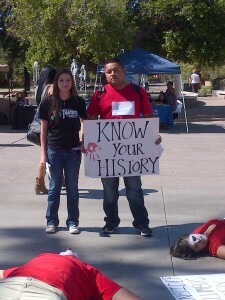 Today, Movimiento Estudiantil Chicano de Aztlán at ASU (M.E.Ch.A.) 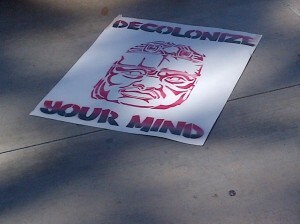 and the Students for Justice in Palestine at ASU (SJP) stood together outside of the Memorial Union at Arizona State University to bring awareness to our indigenous population and celebrate indigenous culture. M.E.Ch.A. 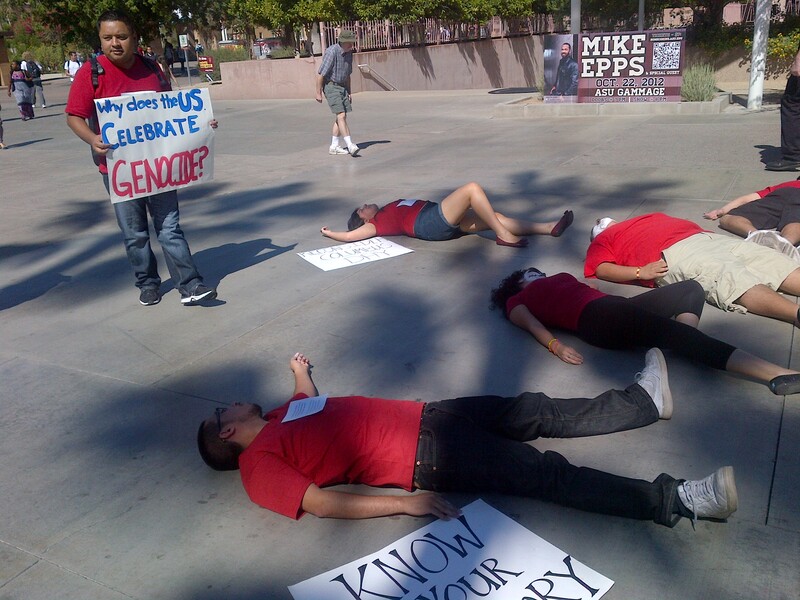 members laid outside in over 90 degree heat, with red shirts and skulls painted on their faces, to make the point that Columbus day is a celebration of invasion, occupation, and enslavement of native peoples. SJP members supported this effort by collecting dozens of student signatures for a petition to replace Columbus Day with Indigenous Peoples Day on our academic calendars. The purpose of transforming this day into Indigenous Peoples day is to educate people about the truth of the conquest of the “New World” by Christopher Columbus. This day should be a day for people to learn the truth of colonialism and the genocide that resulted from Columbus’ invasion. Columbus day is a federal holiday to commemorate Christopher Columbus arriving in the “New World” in 1492. 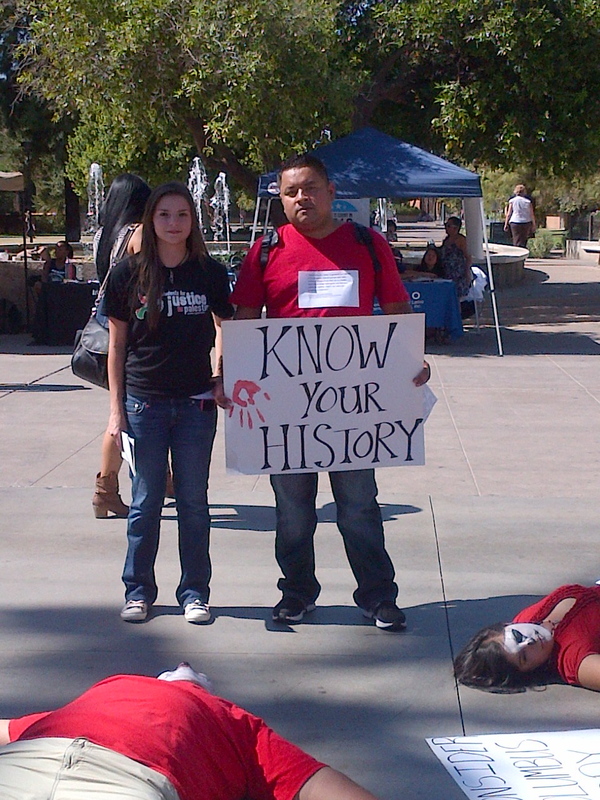 Columbus day should not be celebrated as it led to European colonization, exploitation of the Native population, genocide, and the Atlantic Slave Trade. Instead, let us celebrate a day of indigenous culture and change what the next generation of children are taught in schools. 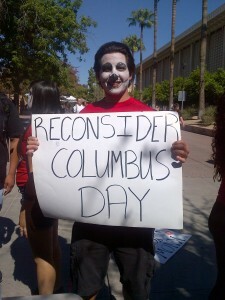 Repudiating our nation’s history of colonialism will take more than just replacing Columbus Day with Indigenous Peoples Day. The United States sends a massive amount of military aid to Israel—$8.2 million a day—supporting the continuation of Israel’s impunity and human rights abuses against Palestinians. 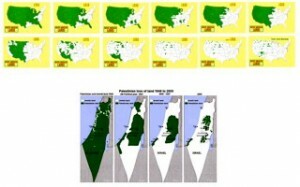 Since it’s creation in 1948, Israel has slowly stolen more and more Palestinian land, in a pattern resembling the European settlers’ expansion across North America. With it’s apartheid wall, Israel has divided the West Bank into a labyrinth of checkpoints, with settlers illegally building new settlements and stealing more Palestinian land every day. Gaza remains trapped—the largest open air prison in the world—blockaded and bombarded by the Israeli military. We are all witnesses to another case of occupation and colonization, but we will not stand to let history repeat itself. We stand with M.E.Ch.A. 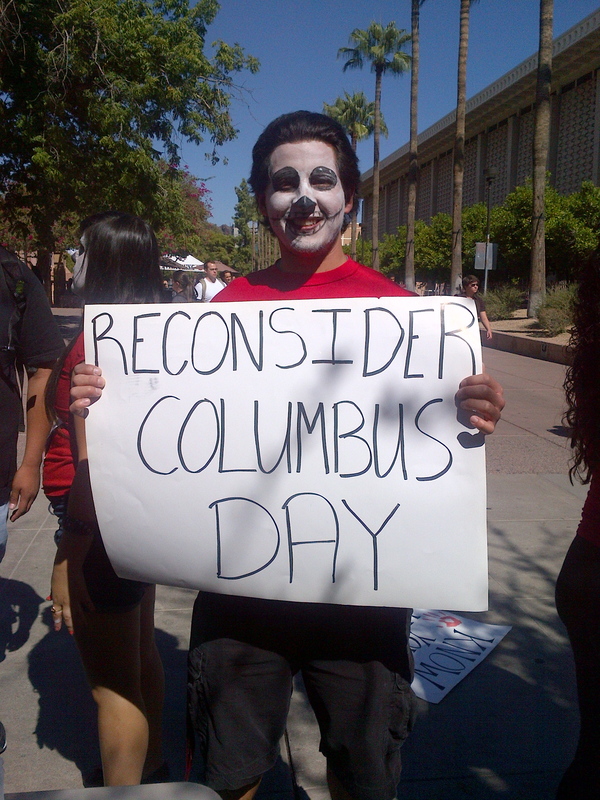 and ask Arizona State University to remove Columbus Day from our academic calendars and mark October 8 as Indigenous Peoples Day. Dedicated M.E.CH.A. member all smiles before laying down in 90 degree heat. This entry was posted in Action, Events, Media by shifa. Bookmark the permalink.